Today, for the first time, I celebrated Independence Day as an American citizen. A week ago, I stood in a large reception room along with a hundred and seventy-two others and our families, representing forty-seven nations, and we took an oath of allegiance to this country. For me, it had been a long time coming. Twenty-seven years to be exact. The majority of us come looking for a better quality of life than we could have expected if we’d stayed in our country of birth. Some cannot wait to shed the shackles of an oppressive government, or a miserable life of poverty and violence. I was one of the lucky ones. Leaving Dublin in the late 1980’s, I became part of the brain-drain—college graduates looking for challenging job opportunities that were not available in a depressed economy. The path across the Atlantic was a well-worn one. But unlike many immigrants, my family had no desire to follow me. Instead, I make the pilgrimage home a couple of times a year. And part of me remains firmly rooted in Ireland. It’s always irked me that although I’ve long been active in my community, and paid taxes for decades, I could not vote, not even on local issues. The importance of this privilege was brought home to me when my oldest children turned eighteen and took on the lifelong responsibility. With all the international political turbulence, the tenets of a democracy are all the more important to uphold. I needed to show my children that I respect their country of birth and embrace the extraordinary document on which it was founded. As a family we’ve never been big on fireworks and barbecues. So I found myself pondering how I should celebrate this day, and what being an American really means to me. The USCIS calls the process of becoming a citizen a naturalization process. Adapting to a way of life, and adopting a country’s social mores takes time. But becoming enmeshed in a landscape, taking ownership of a space and calling it home is a more subtle and binding tie. This morning, finding the patch of sunlight waiting for me on the bench at the top of the garden, I understood that I have found my natural place in this landscape. Season by season, I’ve raised my family, made friends, planted a garden, put down roots. I belong. And what better way to celebrate than to sit there and enjoy the bounty of this amazing country. 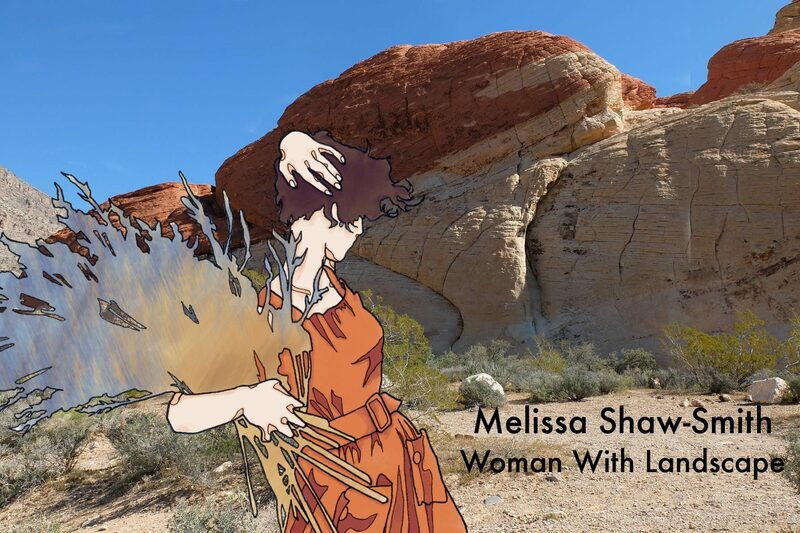 This entry was posted in Photography, Woman With Landscape, Writer's world and tagged American citizenship, belonging, immigration, Independence Day, Ireland, naturalization, nature, writing on July 5, 2016 by Melissa Shaw-Smith. Congratulations, Mellissa. Welcome to the USA! Some couples have lived together for years without being married, but still are more “married” than some married people. I suspect the same idea may be true for some who have come to this country from another, they have a better understanding of being American than some Americans do. Congratulations on making it official. Thank you, Dave. Yes, it was an eye-opening experience. Kind words, Cynthia. Thank you. Beautiful piece and I loved the photograph. I can relate to this sentiment. Happy 4th! This story made me cry. Good onya, my friend. Thank you! So long as I don’t get the blame! Well expressed Melissa, you have such a deeply considerate heart about the values you stand for in life, which comes out in your poetry. Congratulations in stepping out, may it only take you forward to better things! So kind of you to say! I am glad that you will now be able to vote – I think it is an obligation for all citizens – and now you are one . Congratulations! Thanks, Astrid. You can be sure I’ll be at the voting booth in November. Congratulations. And welcome to belonging. You have roots and vines and trees in two lands, each unique and wonderful. Coming to belong takes more than time, more than place. It takes choice, and effort, and determination, and forgiveness, until you find that you have become one with the land that sustains you, from which you take your breath, the land that feels your feet and accepts your trowel and your tears. I hope to belong somewhere someday. Beautifully said, Roger. Thank you. As I’ve discovered, belonging is a state of mind. I hope you find that peace some day. Thank you, Curt. The multicultural aspect of this country is what I most love about it. It is interesting that you have to be a US citizen before you can vote in their elections. So well done on taking the big step. I love the new header. Am I right in assuming that it is your daughter’s wonderful work again? Thanks, Karina. Yes, Nyssa did me the honor again of creating artwork for me. What a lovely, thoughtful comment about becoming a citizen. Thank you! Thank you for saying so Adele. The perfect celebration! Congratulations, Melissa. I might even vote twice! Thanks, Bernice. I found this particularly strinking: “I needed to show my children that I respect their country of birth and embrace the extraordinary document on which it was founded.” I find myself struggling to maintain my respect whenever our policies and choices seem to fly in the face of that extraordinary document, but I haven’t lost hope. I’m so glad you’re a citizen and will be voting along with the rest of us to help better choices be made. Thank you, Sunshine. Not to get too heavy, but one of the reasons I became a citizen was to use my vote to counter the self-serving agendas of those who set out to undermine the Constitution, while claiming to uphold it. “We the people . . .” after all. We are richer for having you, Melissa. You have milkweed, Melissa! You are truly blessed.